strict warning: Non-static method view::load() should not be called statically in /home/sabtajye/public_html/sites/all/modules/views/views.module on line 1113.
strict warning: Declaration of views_handler_field::query() should be compatible with views_handler::query($group_by = false) in /home/sabtajye/public_html/sites/all/modules/views/handlers/views_handler_field.inc on line 0.
strict warning: Declaration of image_attach_views_handler_field_attached_images::pre_render() should be compatible with views_handler_field::pre_render($values) in /home/sabtajye/public_html/sites/all/modules/image/contrib/image_attach/image_attach_views_handler_field_attached_images.inc on line 0.
strict warning: Declaration of content_handler_field::element_type() should be compatible with views_handler_field::element_type($none_supported = false, $default_empty = false, $inline = false) in /home/sabtajye/public_html/sites/all/modules/cck/includes/views/handlers/content_handler_field.inc on line 0.
strict warning: Declaration of views_handler_sort::options_validate() should be compatible with views_handler::options_validate($form, &$form_state) in /home/sabtajye/public_html/sites/all/modules/views/handlers/views_handler_sort.inc on line 0.
strict warning: Declaration of views_handler_sort::options_submit() should be compatible with views_handler::options_submit($form, &$form_state) in /home/sabtajye/public_html/sites/all/modules/views/handlers/views_handler_sort.inc on line 0.
strict warning: Declaration of views_handler_sort::query() should be compatible with views_handler::query($group_by = false) in /home/sabtajye/public_html/sites/all/modules/views/handlers/views_handler_sort.inc on line 0.
strict warning: Declaration of views_handler_filter::options_validate() should be compatible with views_handler::options_validate($form, &$form_state) in /home/sabtajye/public_html/sites/all/modules/views/handlers/views_handler_filter.inc on line 0.
strict warning: Declaration of views_handler_filter::query() should be compatible with views_handler::query($group_by = false) in /home/sabtajye/public_html/sites/all/modules/views/handlers/views_handler_filter.inc on line 0.
strict warning: Declaration of views_handler_area::query() should be compatible with views_handler::query($group_by = false) in /home/sabtajye/public_html/sites/all/modules/views/handlers/views_handler_area.inc on line 0.
strict warning: Declaration of views_handler_area_text::options_submit() should be compatible with views_handler::options_submit($form, &$form_state) in /home/sabtajye/public_html/sites/all/modules/views/handlers/views_handler_area_text.inc on line 0.
strict warning: Declaration of views_plugin_query::options_submit() should be compatible with views_plugin::options_submit($form, &$form_state) in /home/sabtajye/public_html/sites/all/modules/views/plugins/views_plugin_query.inc on line 0.
strict warning: Declaration of views_plugin_style_default::options() should be compatible with views_object::options() in /home/sabtajye/public_html/sites/all/modules/views/plugins/views_plugin_style_default.inc on line 0.
strict warning: Declaration of views_plugin_row::options_validate() should be compatible with views_plugin::options_validate(&$form, &$form_state) in /home/sabtajye/public_html/sites/all/modules/views/plugins/views_plugin_row.inc on line 0. SABTACO Western Cape cordially invites you to its Annual Gala Dinner to be held on the 29th of November 2011 at the Mount Nelson Hotel, Cape Town. 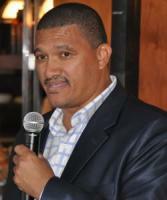 Guest speaker for the evening will be Tony Ehrenreich with entertainment provided by musician Richard Ceasar. KFM radio personality, Theo Esau will be your host for the night. Tickets cost R490 per person and R4600 per table. Madiega Jacobs of Amaanah Business Consulting will be introducing an exciting proposal from the Cape Chamber of Commerce as well as discuss ways of getting your business ready for business2business linkages – both locally and internationally. A capacity crowd of professionals and VIP's attended SABTACO Western Cape's Gala Dinner at the Belmont Square Conference Centre. Representatives from SABTACO's National Executive Committee, The Black Management Forum and featured sponsors, Corobrik were in attendance. A buzzing night of professionals, SABTACO members and their guests along with VIP’s like Ms Roshieda Shabodien, MEC Richard Dyantyi, Mr Omar Valley (Dept Community Safety). 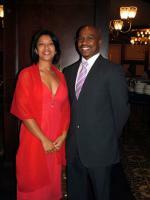 The gala dinner was held at the Cape Sun Hotel on 08 November 2007.